NASA funds development of 3D printer capable of printing food for astronauts. 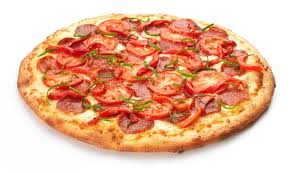 Pizzas have been suggested as a good food to print in space. Digital Trends reports that NASA has awarded mechanical engineer Anjan Contractor a grant of $125,000 (€93,500) towards developing a 3D printer able to produce food for astronauts travelling in space. The grant has been given as part of NASA’s Small Business Innovation Research programme after the organisation learnt of Contractor’s chocolate printer invention last year; with Contractor aiming to make “significant progress” in the next six months in building a food synthesiser for use in a spacecraft. The device would work by combining food-based powder with water and oil. It is hoped by NASA that the ability to print food in space would make travelling longer distances in space more feasible, with the printed food being able to last much longer than food currently taken into space. ← Save 15% on Toner this Friday!